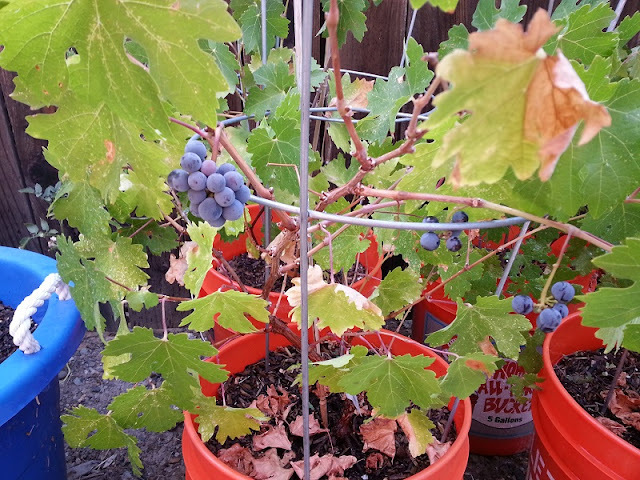 Only three of my many vineyard varieties produced grapes this year; Cabernet Sauvignon, Symphony, and Syrah. 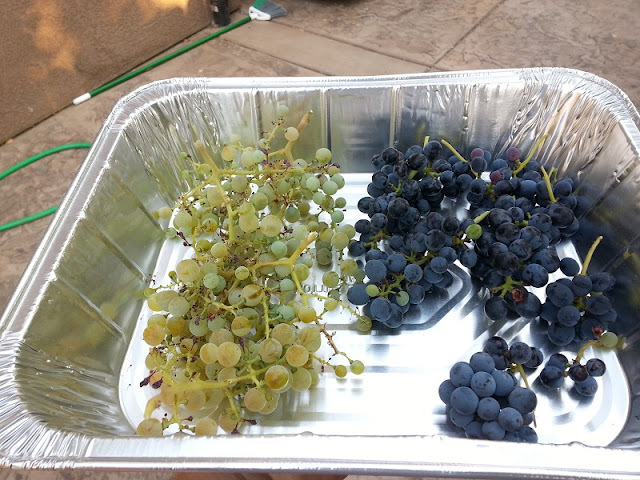 Syrah had the best production this year, followed by Symphony and Cab Sauv. 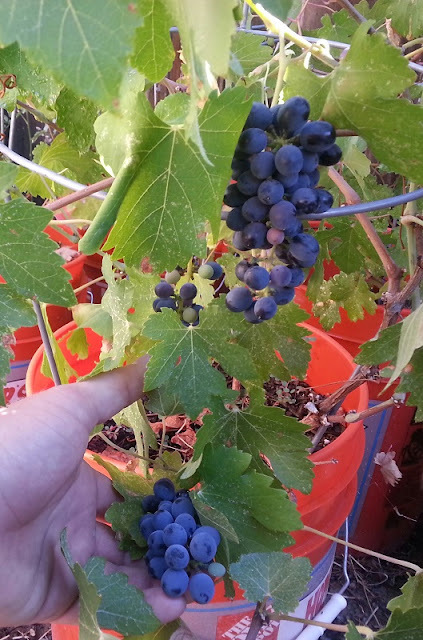 For being only 2 years old, the Syrah was able to outproduce the Symphony vine, which is a year older. 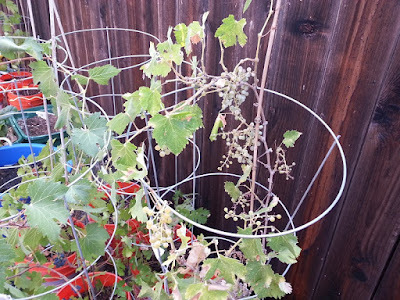 After some snipping, all of the grape clusters were removed from the vines. 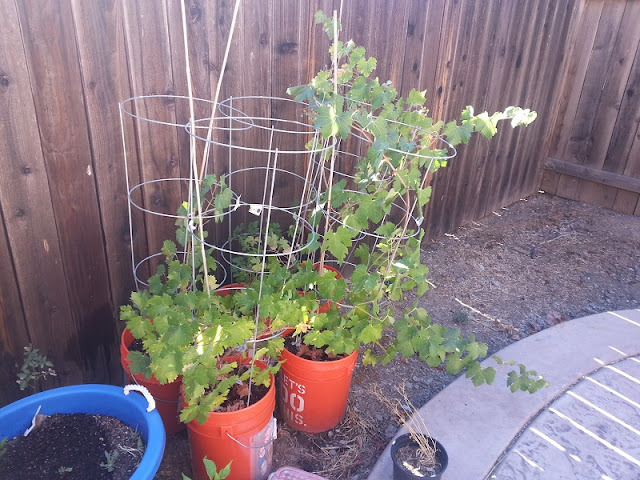 Those vines need a nice long rest to recover before grape production next year. 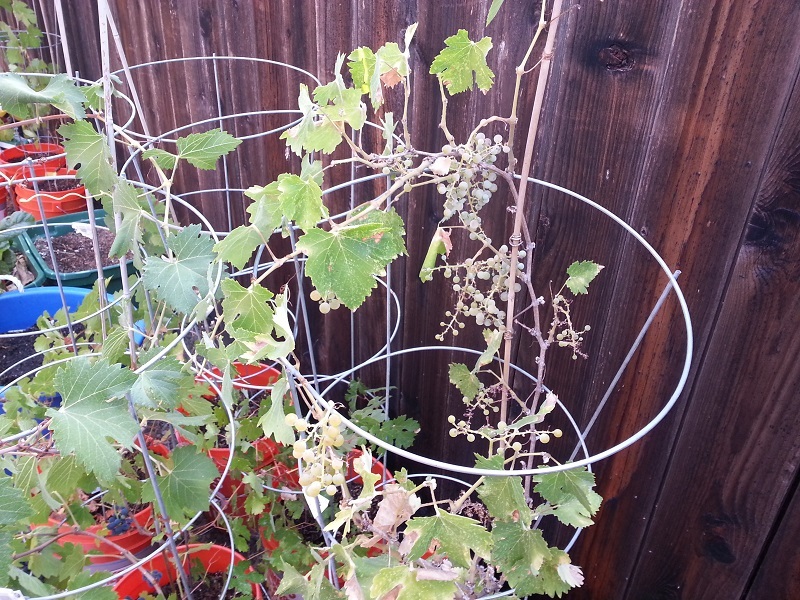 More grapes than last year's harvest! Next came the tedious process of destemming the berries off the stems. 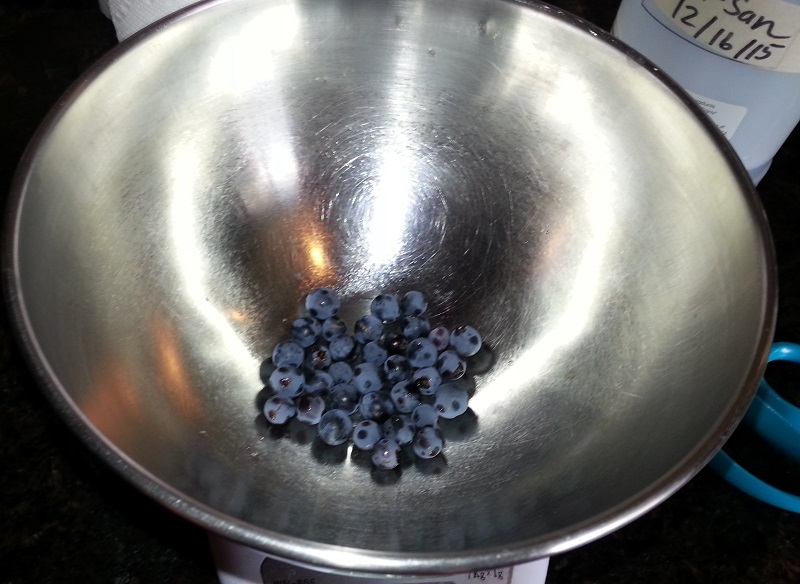 As I don't have a wine press or a destemmer, this had to be done by hand, one berry at a time. Cabernet Sauvignon yield was 17 grams. Symphony yield was 102 grams. Finally, Syrah yielded 147 grams. As a percent of weight going into my blend, that's 55% Syrah, 38% Symphony, and 7% Cabernet Sauvignon. To crush my grapes, I employed the use of a blunt object and a bowl. I haven't crushed grapes in a few years, but it felt like I was working in the winery again. I made sure to get a good crush without breaking any of the seeds. 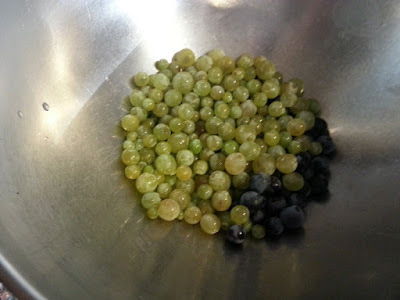 Breaking the seeds would cause too many tannins to leech into the must, making the wine more acidic than it needs to be. I've decided to ferment this with all the skins on, including those from the Symphony grapes. I'll filter off the skins and seeds once fermentation finishes up. Due to the small volume of liquid obtained from my grapes, I was unable to take a brix reading. The alcohol level will be left up to the imagination. I pitched a small amount of EC-1118 wine yeast to get this blend going. I'm hoping this wine turns out great! Enough for a whole glass of wine!